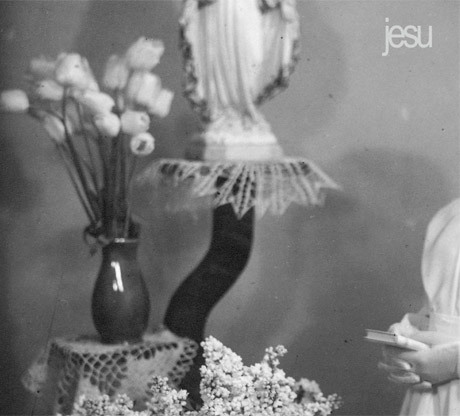 Though we have to wait until September 24 for Jesu's new Every Day I Get Closer to the Light from Which I Came LP to drop in full, the band have let loose a stream of the set's "Homesick" to keep us occupied in the meantime. The track plays maple-syrup thick, showing off a somehow both ominous and ooey-gooey doom pop arrangement via barrelling power chords, a steady percussive pound and Justin Broadrick's nearly buried, airy vocal melodies. You can check out "Homesick" in the player down below. As previously reported, Every Day I Get Closer to the Light from Which I Came arrives September 24 via Avalanche Recordings.